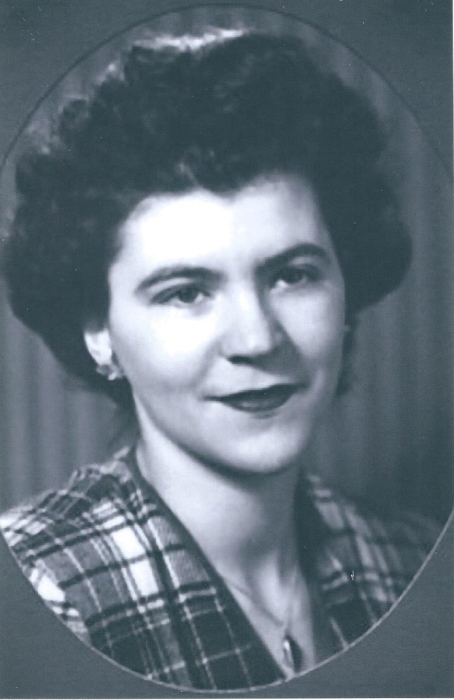 Helen D. (Wensel) Wedge, age 92, passed away in the Maples Nursing and Rehabilitation Center in Wrentham, Massachusetts on Monday, April 8, 2019, surrounded by her loving family. Born in her parent’s home on Chapel Street in Norwood, Massachusetts on June 12, 1926, she was the daughter of the late Edward and Helen (Reidy) Wenzel. She was raised and educated in Norwood and went on to take a position with Plimpton Press. Helen met her husband to be, Ronald Wedge, at the Norwood Bowladrone in the center of town, while he was stationed at Ft. Devens. They eloped in September of 1947 and initially made their home together with Ronald’s sister, Doris, and her husband, Fred, on Lenox Street in Norwood. While living on Lenox Street, the young couple began construction on their home on Oak Street in Walpole, where Helen took on the role of a homemaker, raising and caring for her young family. Later, Helen returned to the working world, taking a position with Corning Medical in Medfield, where she worked for 17 years until her retirement in 1993. In her retirement, Helen enjoyed shopping trips with her sister to Christmas Tree Shoppes and the Dollar Store. She looked forward to her weekly lunches with her daughter, Cheryl and enjoyed relaxing in the evening, watching Wheel of Fortune and Jeopardy. Most of all, Helen loved spending time with her family and was delighted to welcome her grandchildren. Beloved wife of the late Ronald A. Wedge. Loving mother of Robert Wedge and his wife Lynn Berkowitz of Philadelphia, Pennsylvania, Cheryl A. Sutherland and her husband Gregory of Wrentham, Yvonne L. Cook of South Attleboro, Barbara Keating and her husband Robert of Norton, Ronald A. Wedge, Jr. and his wife Karen of Bellingham, and the late Garry Wedge. Cherished grandmother of Brian Cook, Richard Cook, Meredith Keating, Sean Keating, and Avery Wedge. Sister of the late Joseph “Bob” Wenzel, Thomas Wenzel, Edward Wenzel, William Wenzel, Mary Meeker, and Barbara O’Donnell. Sister in law of William O’Donnell. Helen is also survived by her nieces, who were close to her heart, Carolann O’Donnell, and Mary Ellen Streeter and her husband George and their children, Jeffrey and Jody, as well as her nephew, Billy O’Donnell. All services were private at the request of Helen’s family. In lieu of flowers, memorial donations may be made to the American Lung Association of the Northeast, 1661 Worcester Road, #301, Framingham, MA 01701. Arrangements by James H. Delaney & Son Funeral Home, Walpole.